Save the River Conwy | DBP MAGAZINE ONLINE The World's Best Free Whitewater Publication. Rivers all around the world are under threat. 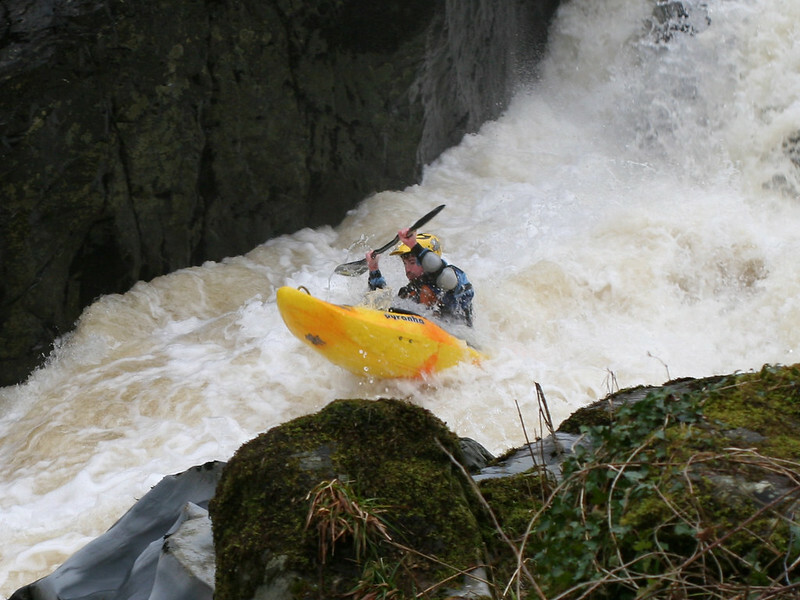 One that is close to the heart of many UK paddlers is the Afon Conwy, in North Wales. 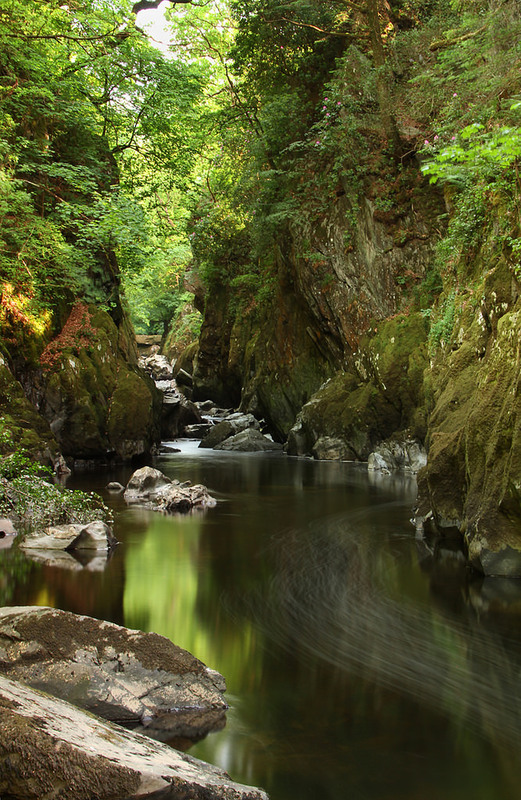 With multiple sections of top class whitewater, including the famous Fairy Glen, as well as important and irreplaceable woodlands and habitats, the proposed development is just too damaging. The developers, RWE Npower, propose a run of the river Hydro scheme that when operating will take a large proportion of the water flow. The Fairy Glen is a extraordinary and unique environment, a temperate rainforest. 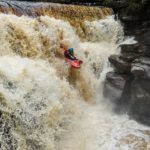 It is a rare bastion of unspoiled land in the heavily developed UK, a place where kayakers and the general public can escape from the rat race. If this development goes ahead it would cause a lot of damage during construction. Taking the water out of 2km of the river would cause devastating damage to fish populations, rare plants and freshwater pearl mussels, and to the entire river ecosystem. We only have until this Friday (23rd) to object! Ref: Planning application NP4/26/323A – proposed 5MW hydro scheme comprising construction of intake weir, buried and tunnelled pipeline, buried powerhouse, switchgear room and transformer building, temporary construction compounds, car parking and alterations to vehicular accesses. I am writing to object in the strongest possible terms to this development because it will have direct significant long-term adverse effects on Snowdonia National Park. Strategic Policy A: National Park Purposes (i) Give the highest priority to the protection and enhancement of the natural beauty, wildlife and cultural heritage. The proposed impoundment weir and the outfall/tailrace structures are substantial new man-made structures in an unspoilt river landscape which is highly valued for its scenic qualities. The lifetime of the scheme is at least 30 years and the applicant’s current intention is that those structures would remain as permanent features in the river even after decommissioning. The proposal will therefore cause long-term adverse impacts to the natural beauty of an iconic part of the National Park. The Environmental Impact Assessment acknowledges adverse long-term impacts from the new built structures on species including migratory fish. Evidence from the Angling Trust suggests that those impacts will be significant and that mitigation measures proposed are unlikely to reduce the harm to an acceptable level. The Fairy Glen’s lower plants and lichens are nationally important. Many of the species are humidity dependent. The reduction in river flows will have adverse long-term impacts on humidity dependent ravine bryophytes and there is considerable uncertainty over the precise impacts. Planning Inspectorate Appeal Decision APP/Q6810/X/16/516168 provides a basis for understanding impacts, uncertainty, and the precautionary principle in relation to hydro schemes in designated sites. The aesthetic qualities of the Conwy Falls and Fairy Glen cannot be overstated. It has been an enduring attraction for visitors to Snowdonia for over 200 years, influencing poets and painters of the Romantic Movement, helping to raise public awareness of Welsh cultural history and establishing a popular taste for mountainous scenery and sublime landscapes. From the publication of Thomas Gray’s influential poem ‘The Bard’ in 1757, Conwy Falls has inspired works by important artists up to the present day (see for example ‘The Bard’ by John Martin). Conwy Falls became and remains to this day one of the ‘must see’ places for tourists to visit in their search for the sublime in Snowdonia. People are attracted and profoundly moved by the sheer scale, power and natural beauty of this waterfall and gorge. For ‘Conway’s foaming flood’ to be tamed would be a travesty and would make Snowdonia a less attractive and sublime place for people in future. Conwy Falls and Fairy Glen are iconic locations of Snowdonia, where the ‘special qualities’ are both abundant and available to people to enjoy. The proposed scheme will severely impact the special qualities and their enjoyment during the construction phase, and will significantly damage them on a permanent basis. This is a large scale project in a high-visibility location, with large new built structures, will result in diminished river flow and diminished biodiversity. This will considerably reduce the overall enjoyment of the special qualities and damage the National Park’s status as a place famed for those special qualities. The local area and the National Park as a whole will be less scenically beautiful, less tranquil, less biodiverse, and less inspirational as a result of this development. Specific groups of existing users will experience severe adverse impacts on their enjoyment of the special qualities as a direct result of the proposed development during both construction and operation. These user groups include but are not restricted to – kayakers, tourists, photographers, artists, wildlife enthusiasts and local businesses. Strategic Policy A: National Park Purposes (iv) Conserve and enhance the characteristic biodiversity of Snowdonia. The natural resources, biodiversity geodiversity and ‘Special Qualities’ of the Snowdonia National Park will be protected from inappropriate development. Proposals should not adversely affect the National Park’s biodiversity resources including designated sites from an international through to a local level, as well as wider biodiversity resources eg habitats and species outside designated sites. For developments affecting nationally designated sites the location, design and construction of the development is to be such that damage to nature conservation features is mitigated, and opportunities for nature conservation gain are taken. The impoundment weir will interrupt natural sediment transport and deposition processes, resulting in adverse impacts on river morphology and habitats, and making it less likely that the river Conwy’s Water Framework Directive status will be maintained or improved. According to the Court of Justice of the European Union judgement in July 2015, case C-461/13 the National Park Authority has a duty to ‘to refuse authorisation for an individual project where it may cause a deterioration of the status of a body of surface water or where it jeopardises the attainment of good surface water status or of good ecological potential and good surface water chemical status by the date laid down by the directive’. The developer proposes that after high flow events, they will probably have to regularly move materials from above the weir to below the weir for the 30 year lifetime of the scheme. Alongside the developer, we too are very concerned that this will cause the regular release of fine sediments into the watercourse, detrimentally affecting the habitats of fish, invertebrate, and the habitats of other species. Different figures for weir height are given in different parts of the application documents, which makes it impossible for anyone to accurately assess potential impacts. The fish and invertebrate species are also European protected species under the Habitats regulations. The developer recognises that the effects of the impoundment and the abstraction on fish remain uncertain. Although mentioned in the EIA, the Fisheries EIA is not appended to the application, which must be addressed. It is clear that the weir will be an obstacle to some fish movement, and the proposal is to mitigate against this with a fish pass, but even the developer notes that some fish will be prevented from moving through this. A new fish pass is an obstacle for migrating fish to navigate which could cause a change in their behavior and make them susceptible to effects such as predation and poaching. The developer recognises that the mitigation they propose for smolt passage at the weir is poorly tested (young salmon or trout, listed as priority species under section 7 of the Environment Act, which replaces section 42 of the Natural Environment and Rural Communities Act), which contradicts the assertion in Section 14.2.2 of the EIA that “through the assessments only mitigation for which there is a high level of certainty of successful implementation has been considered in terms of reducing otherwise significant effects”. We believe this to be entirely unacceptable. As a percentage of natural river flow, it seems that the abstraction will be most pronounced at “small-medium” spate flows. The contribution of the river flow in maintaining the high humidity in the Fairy Glen at these mid-flows appears unknown. Since this site is uniquely and globally valuable for its lower plants, and there is insufficient evidence to assess the likely impact of the proposed scheme on them, if this scheme is allowed to go ahead, NRW and SNPA would be failing in their duty to “maintain and enhance biodiversity, and in so doing promote the resilience of ecosystems”. The proposed footpath, track to the intake, walls of the intake, and discharge outfall structure will destroy around 08.Ha of what we believe to be designated “ancient woodland”. Welsh Government’s Planning Policy wales (Edition 7 – July 2014) states that “ancient and semi-natural woodlands are irreplaceable habitats of high biodiversity value which should be protected from development that would result in significant damage”. The newly published State of Nature – Wales (2016) report states that only “Only 12% of woodland in Wales is ancient and semi-natural, and much of it is degraded and fragmented”. The small amount of ancient woodland which remains in Wales is often restricted to inaccessible areas such as this ravine, and we regard a scheme which proposes damage to one of the last vestiges of ancient woodland as unacceptable. We expect NRW to verify the status of this area designated as “ancient woodland” and if confirmed, to rigorously defend it. The cumulative impacts of numerous HEP impoundments and abstractions on tributaries of the Upper Conwy (e.g. Nant Cerrig-nâdd, Afon Iwrch, Hafnant) have not been addressed in the developer’s EIA. We look to NRW to make a full assessment of the cumulative impacts, and how this proposal contributes to them. We understand the applicant now proposes to use the pipeline corridor as a construction haulage route, and assess that approx. 0.5 Ha of unimproved neutral/marshy grassland (a UK Biodiversity Action Plan/ Environment Act 2016 S.7 habitat of Principle Importance for the Conservation of Biological Diversity) would be lost permanently, probably to be replaced by a corridor of soft rush, which is no replacement for the loss of a rare habitat. Please refuse planning permission for this scheme and uphold the purposes of the National Park.